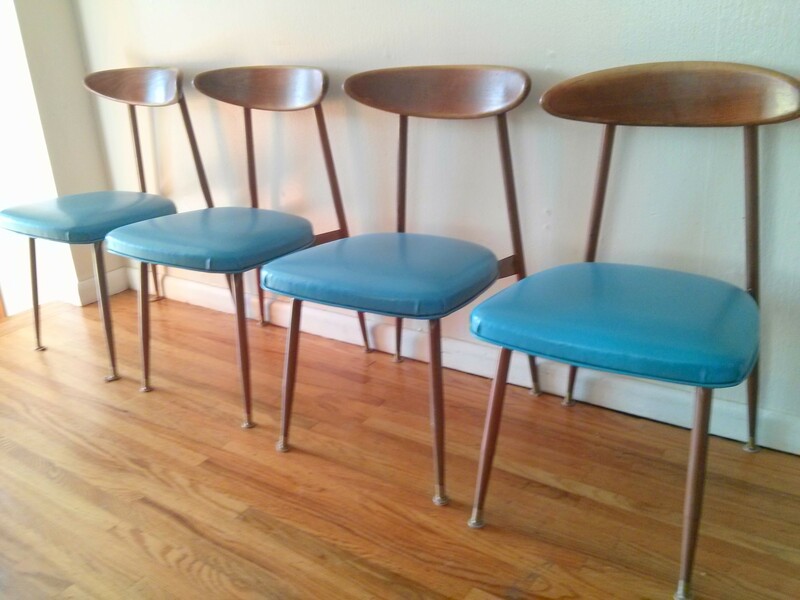 This is a set of 4 mid century modern Viko chairs. They have solid wood backs, upholstered seats and metal frames. Dimensions: seat width: 17.5″, seat depth: 17″, seat height: 17″, back height: 30.5″. 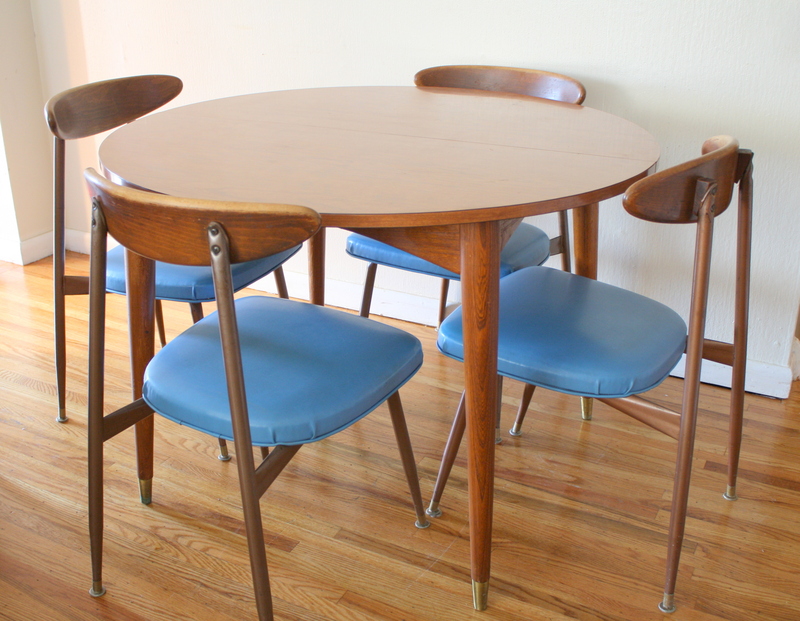 Also featured is a mid century modern round dining table with tapered legs and brass tipped feet. Dimensions of table: 41.5″diameter, 29″H. This entire set is sold.